Paul Barry returns with a new season of the show that casts a critical eye over the media industry, watching the watchers and commenting on all forms of media, PR and communications. 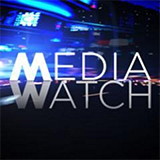 Media Watch was broadcast on ABC1 at Monday 11 February 2019, 21:17. 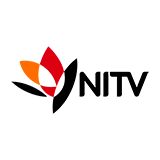 Media Watch is an Australian media analysis program written for television in which the Australian media is critiqued. It is the most-watched program in its segment. The episodes of the show revolve around the analysis and investigation of what the Media Watch team believe to be failings in news coverage by the different Australian media. This consists both of entertaining pieces about spelling errors, wrong captions and such, and of more serious investigative journalism about more controversial topics like media bias and the ethics in journalism. Over the years Media Watch has played an important role in the uncovering cases of unethical behaviour in the media, such as the Cash for Comment affair, in which influential Australian radio hosts were discovered to have been paid to speak favourably about certain companies on air, and a case in which a 60 Minutes reporter allegedly plagiarised a BBC documentary on the massacre at Srebrenica in 1995.